Pretty much everyone who knows me knows that Halloween is by far my favorite holiday. In the past, I’ve always worn a great costume, and thrown a huge party, but this year (like last) was difficult being that I don’t have my own place of residence. Luckily, this year has proven to be a lot of fun – I’ve been able to live vicariously through my friend Chris who does a haunt at his library, and my friend Joe’s neightbor Mike who has the BEST HOME HAUNT in south Jersey. First, let’s start with Mike Mascioli. Mike has been a home haunter for years. It all started back in the day when he ran a haunted hay ride for the gun club he belonged to. 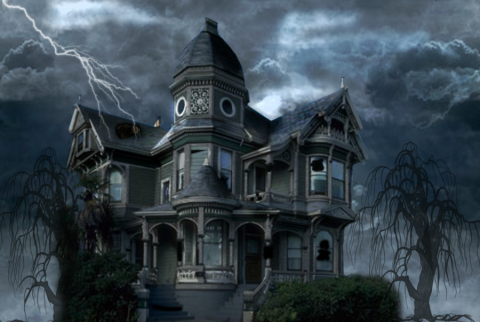 Since then, his home haunt has developed into an extravegant haunted house that has to be seen to be believed. Mike starts building his haunt in September, and for the next two months spends every waking moment he has free working. Now, I’m not talking your average home haunt that has a graveyard in the frontyard and some animated props on the porch. Mike’s haunt takes up an entire two car garage.